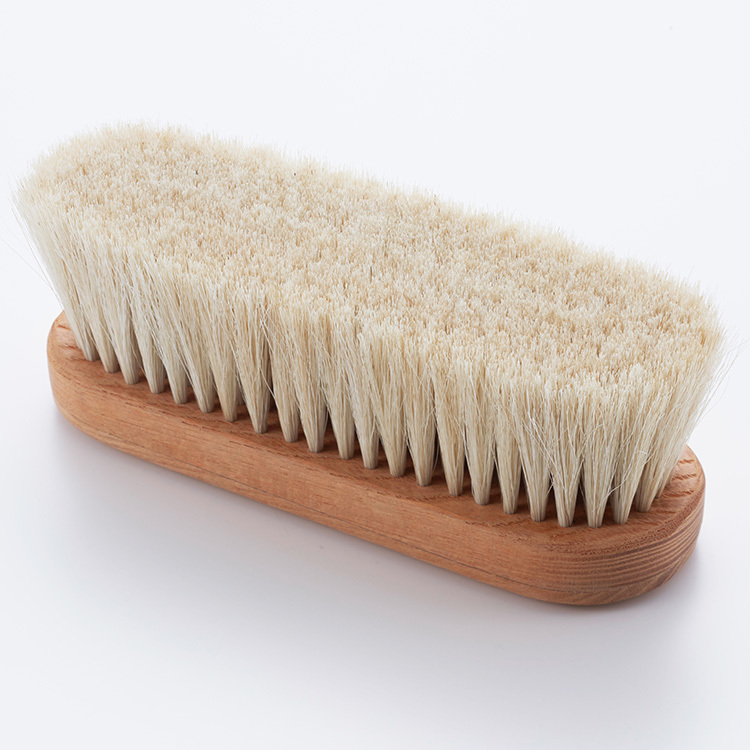 Uno Hake brushes started their business in 1917. Currently Ms. Chieko Uno wiorks with her daughter Michiyo to continue their family craft. “Hake” are brushes formed by two separate pieces of wood that bind the hair and the hair fibers are planted by hand inside the wooden holes and strung together. After this the hairs are cut to symmetry. These brushes have been modernized to have an array of modern uses. For home use, to clean your face, body, clothes, shoes, etc. To achieve this the animal hairs need to be chosen and prepared for each product. If pig, horse, goat, boar hair has a different texture. Each hair needs to be treated with oil. The mother and daughter of the Uno family have a history with these materials and create products suitable for each occasion.